It is helpful to carry around a small kit to aid you in the event of minor burns. 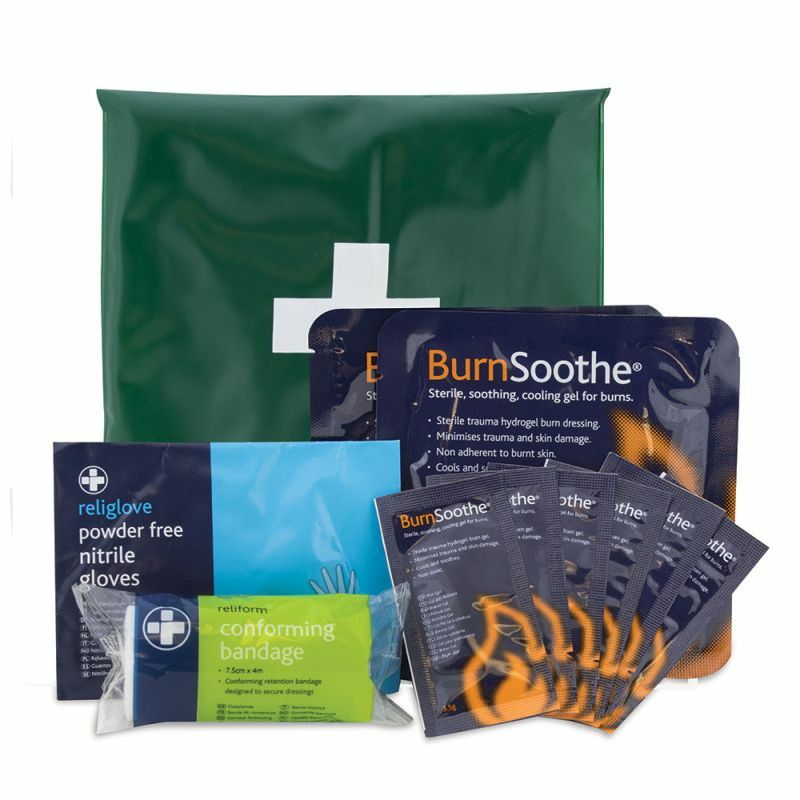 The Mini First Aid Kit for Burns provides you with all the basic burn essentials you will need for effective treatment. Acting quickly and conducting appropriate first aid to treat any burns or scalds is important, as it will limit the amount of damage caused to the skin. Sometimes burns require more attention than just sticking them under cold water, which is where having a mini burns kit can be useful. What Can You Expect to Find in the Burn Kit? This burns first aid kit is contained within a green vinyl zip pouch, which is water and dust resistant, and small enough to keep in bags, drawers or the glove compartments of cars. This handy sized pouch is suitable for all occasions where minor burns have been caused, whether at home or in the office. The Mini First Aid Kit for Burns is usually dispatched via First Class Royal Mail and delivery should be within 1 to 3 working days.